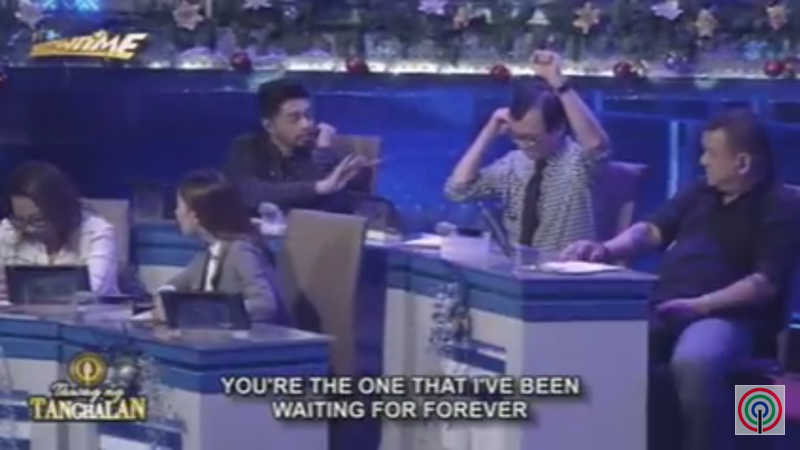 Home IT'S SHOWTIME MARIS RACAL TAWAG NG TANGHALAN TELEVISION Maris Racal's sister gets "gong-ed" on Tawag ng Tanghalan! 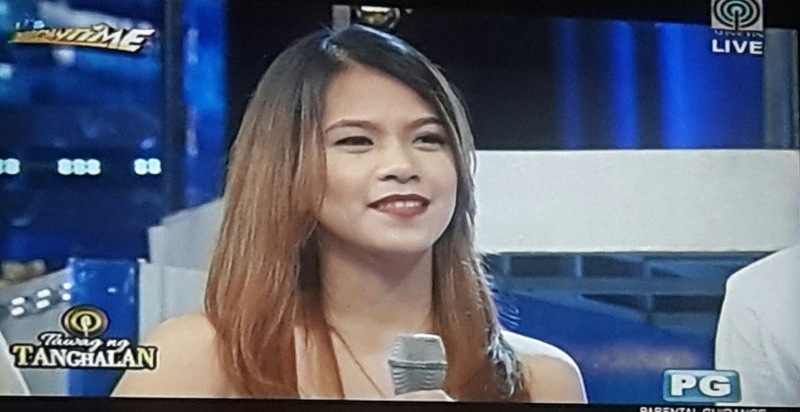 Maris Racal's sister gets "gong-ed" on Tawag ng Tanghalan! 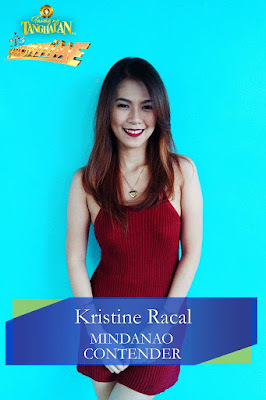 Maris Racal's sister Kristine is the latest "gong casualty" on Tawag Ng Tanghalan Sa It's Showtime. 25-year-old Kristine Racal was today's 3rd contender representing Mindanao. She performed by 'Betcha By Golly, Wow' by The Stylistics. But having a famous sister couldn't save her from being "gong-ed". She had to stop singing after Punong Hurado Rey Valera made the signal to beat the "gong". According to Valera, Kristine had many flats in her performance. 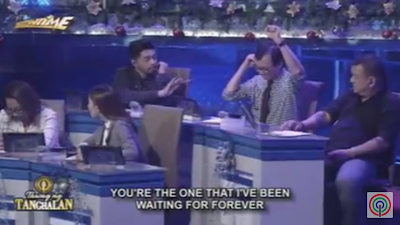 Nyoy was even caught on TV tryin' to stop Sir Rey. Look! 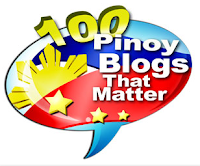 Did Rey Valera make a mistake? Was he too harsh on her? 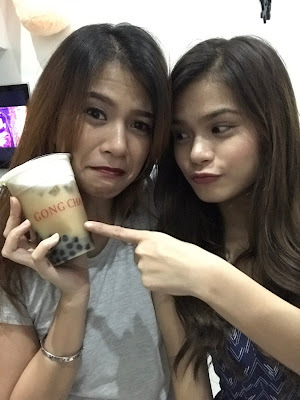 For Kristine's younger sister Maris, who happens to be a regular talent of Showtime as one of the Girltrends, what happened earlier is just fine with her, and even treated her Ate a "Gong Cha" tea. @MissMarisRacal: "Yan gift ko sa kanya kasi na-GONG CHA. 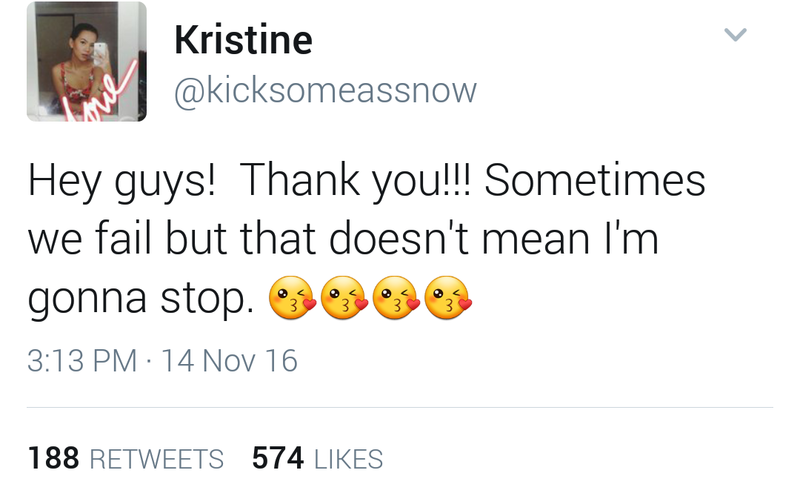 😂 hehehhehhehhehheh"
Kristine herself is also showing an admirable positive attitude. She admitted she failed, but she assured everyone that her failure in the contest isn't gonna stop her from pursuing her dreams. 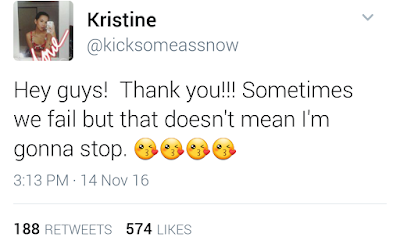 @kicksomeassnow: "Hey guys! Thank you!!! Sometimes we fail but that doesn't mean I'm gonna stop. 😘😘😘😘"